G1 Distribution also known as G1 Gas offers true pre-paid water meters. Tokens are generated using STS technology to load the credits into these meters. Alternative ways can be used to load these tokens into these pre-paid meters. One can use a wireless radio signal or infrared signal to load these tokens or even Bluetooth. These water meters come in cold water or hot water configuration. Different sizes are available 15 mm or ½ inch or 22 mm ¾ inches. 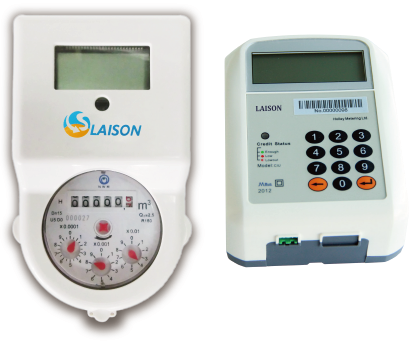 Utilities could very easily incorporate these pre-paid meters into the billing systems to generate credit tokens to load into the meters. Home owner associations can now be sure to have payment of water before any is used for much better cash flow. This is the Pre-paid volmetric meter with the Wireless key pad that will link to the meter to trasfer the credits.